Large zipper top bag for all of your magic stuff! There are 2 pockets on the outside and 2 pockets on the inside to keep everything organized. The metal stays give the bag structure and open similar to a Doctors Bag. Finished size: 18 inches wide x 12 inches deep x 14 inches tall. 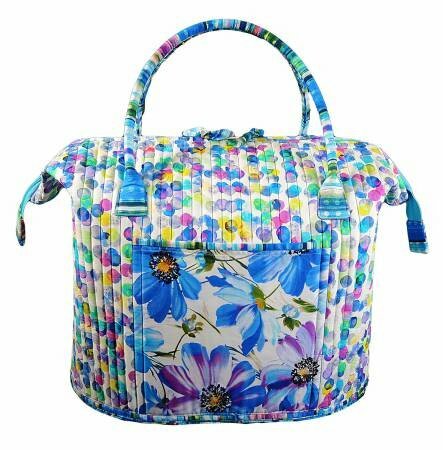 Great bag to haul your stuff to class, retreat or great for a cool weekend getaway bag. Requirements: Additional Supplies needed to complete the bag and a list of materials will be provided after registration.